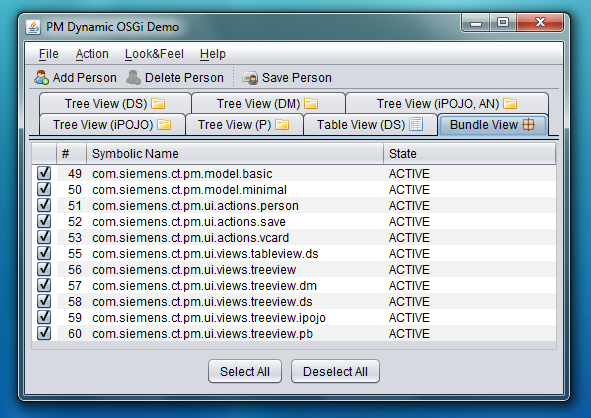 For the OSGi session I updated my dynamic Swing demo to the latest versions of Equinox, DS, Spring DM and iPOJO. You can test-drive the application with Java WebStart. I look forward to seeing you at JAX 2010!